Irish moss, also called carrageen moss or pearl moss, is a red seaweed that grows along the coasts of Europe and North America. It is often purchased in bulk by food manufacturers for the purpose of making jellies, through it is also used to make the popular thickener and stabilizer, carrageenan, which is found in many milk products and processed foods. Irish moss is loved for its medicinal qualities, and its nutritional profile – owing to its ability to absorb the trace minerals contained in the oceans in which it grows – rivals those of the healthiest land vegetables. During the potato famine in Ireland, many had turned to a red seaweed that washed up ashore. The people were desperate so they ate what ever they could. Little did they know that the sea moss alone was more than enough to sustain them. Sea moss has over 90 minerals, including calcium. Weight loss properties – First and foremost, Irish moss is a great weight loss food. One hundred grams of it contain a mere 49 calories, no fat or cholesterol at all, and one gram of fiber, which constitutes five percent of our recommended daily intake (RDI). Since dietary fiber absorbs water from the small intestine, it encourages a feeling of fullness that inhibits overeating. This fiber content also makes Irish moss a good natural laxative that can treat constipation by flushing accumulated matter from the colon. High in calcium – One hundred grams of Irish moss contain approximately 21 percent of our RDI of calcium, an important mineral that builds bones and prevents osteoporosis. It also contains magnesium, which helps the body to absorb calcium more easily. Skin care properties – Many skin lotions and facial masks incorporate seaweed extracts, and for good reason. Seaweeds such as Irish moss are brimming with important nutrients such as vitamins A, B, C, and E, which invigorate the skin and are often used to treat skin-based conditions such as eczema, sunburn, psoriasis, and rashes. If you want to utilize Irish moss to improve your skin, find an organic lotion that contains it, apply it topically to the desired area, then lie down and allow the nutrients in the seaweed to nourish the skin. The nutrients will, in time, improve the skin’s capacity to retain essential lipids and retain moisture, lending it a healthy and radiant glow. Rich in iron – One hundred grams of Irish moss contain 49 grams of iron, which is high even when compared to other sea vegetables. Iron helps to build hemoglobin in our red blood cells, which in turn carry oxygen from our lungs to our body’s cells. While iron deficiencies are common in the West, ultimately such deficiencies are easy to treat: simply eat more iron-rich foods! Relieves respiratory conditions – Irish moss is a celebrated demulcent that has a soothing influence on the body’s mucous membranes. This softening effect is known to help many respiratory conditions such as pneumonia and bronchitis. Irish moss is also an expectorant that can relieve dry coughs, and its rich mucilage content (which gives it its characteristic fleshy constitution) makes it an effective treatment for catarrh and sore throats. Good source of iodine – While bladderwrack is generally regarded as the ultimate sea-based source of iodine, Irish moss also contains sizable amounts of this absolutely essential – and often neglected – mineral. Iodine is needed for proper thyroid function, and since few land vegetables now contain it thanks to ongoing soil depletion, natural food-based iodine sources are something we must treasure and utilize whenever possible. 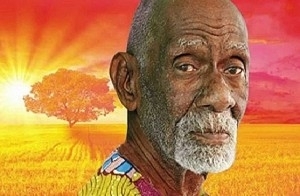 The basis behind Dr. Sebi’s approach is clearing the body of excessive mucous, which is believed to be the root of all disease. Mineral rich superfoods and herbs are what he primarily uses for treatment and Irish Sea Moss is the number one staple since it is so mineral rich including over 90 minerals. To make this into an Ormus Powder I took whole Irish Sea Moss and ground it up in a blender with warm aetherically charged negative ion water. Then I took that substance while it was still warm and hadn't jelled yet and added Organic Dolomite Lime and preformed the John Hudson method. 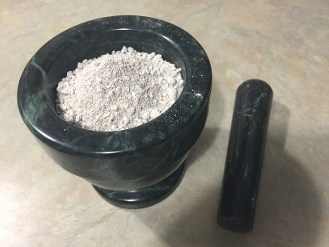 After 7 washes and drying it out it, it turned into a white Ormus powder that is full of goodies.